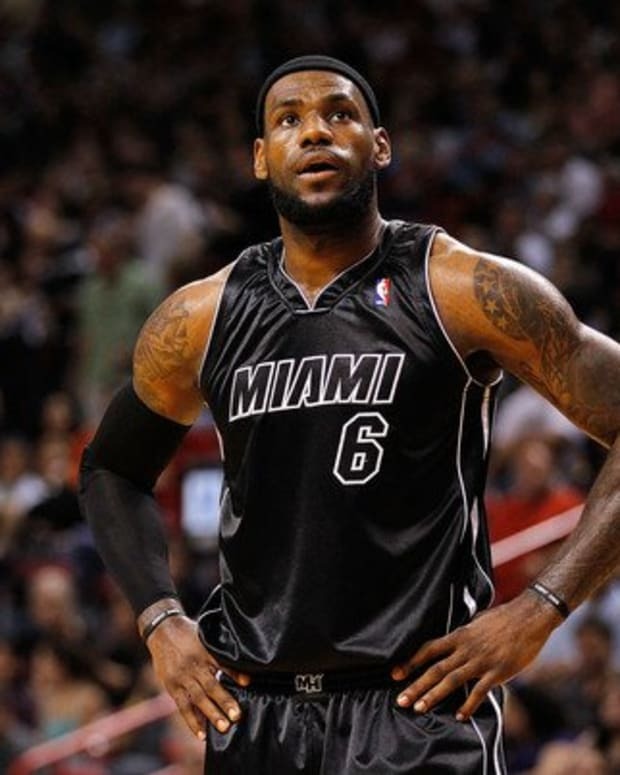 The Miami Heat beat a very shorthanded San Antonio Spurs team 105-100 on Thursday night. Tim Duncan, Manu Ginobili, Tony Parker and Danny Green were all held out of the outing by Gregg Popovich – which earned a mixed reaction from the basketball-watching world. LeBron James led all Heat scorers with 23 points, nine rebounds and seven assists. Ray Allen and Dwyane Wade pitched in 20 points and 19 points, respectively. Four Miami players finished in double figures. Gary Neal led the way for San Antonio with 20 points off the bench, but he did it on seven-of-20 shooting from the field.